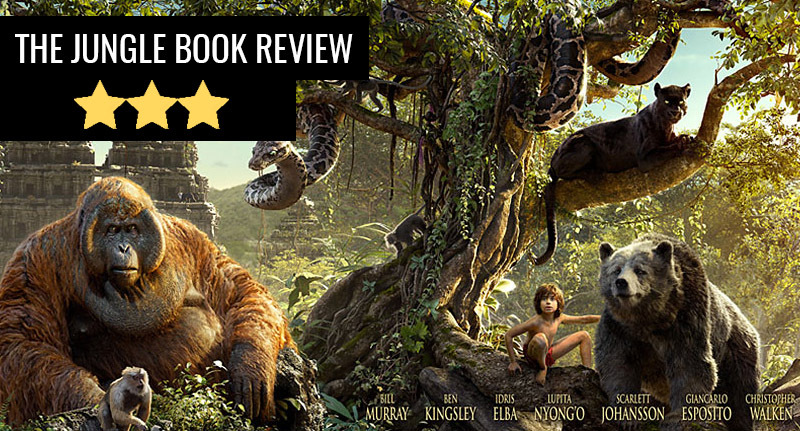 The Jungle Book was an exciting, fun and surprisingly tense romp that a whole new generation of fans are going to love – it’s just a shame I’ve seen it all before. 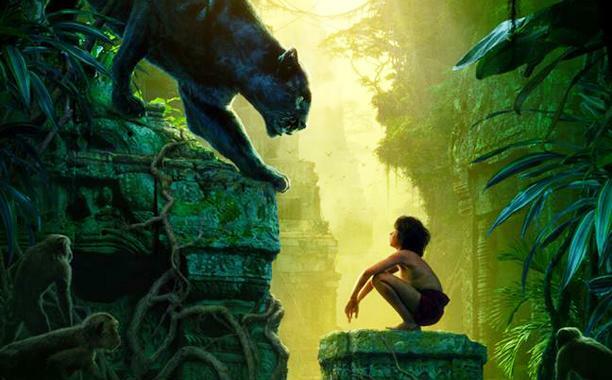 For those who haven’t read Rudyard Kipling’s original book or seen Disney’s original animated adaptation (and, for shame if you haven’t) then we’ll quickly recap the story. 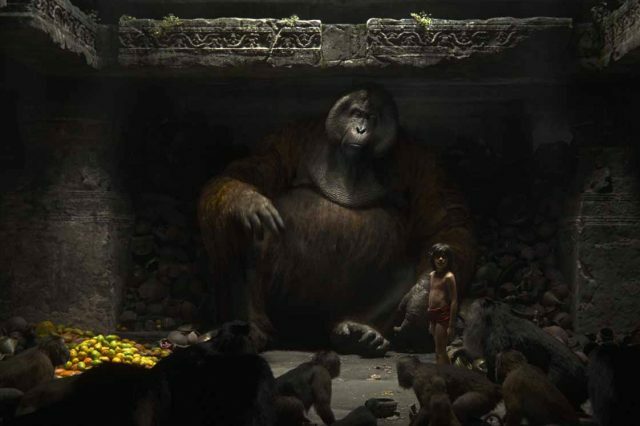 As a small child, Mowgli (Neel Sethi), gets lost in a colossal jungle but, fortunately, he’s soon rescued and raised by literal wolves, who teach him the ‘laws of the jungle’. All’s well for a time but eventually the ‘man-cub’ attracts the attention of the human hating tiger, Shere Khan (Idris Elba), making his forest home unsafe. So its decided that the young boy will go back to his own people, the dreaded man! 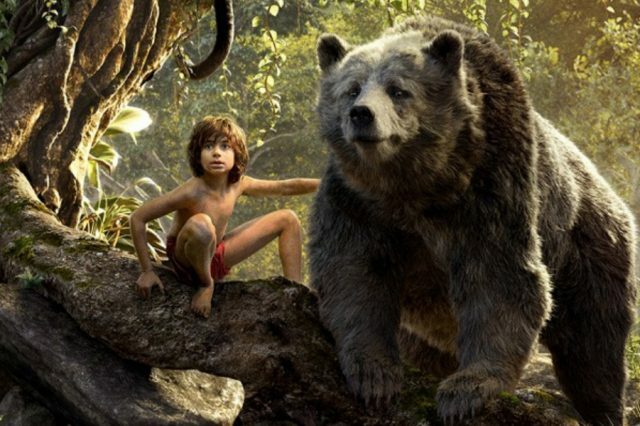 Along the way, he and his panther guardian Bagheera (Ben Kingsley) meet Baloo (Bill Murray), a bear who likes the easy life, and the three get into a series of scrapes as they bumble round the jungle. There’s an awful lot to love in this film and I want to begin by saying that I really, really liked the movie. However, I must admit I have a personal bias when it comes to The Jungle Book. You see, as a kid I loved the original Jungle Book, so much so that I actually broke my VHS copy through over watching it, and this sentimental bond is so strong that I can’t divorce myself from that affection. Okay, so let’s start with the cast, who are all excellent – especially Neel Sethi, the young boy playing Mowgli, who manages to imbue his character with both an otherworldly wisdom and the naivety of a young child. Considering that this is his first major role AND the fact that he’s essentially acting against a bunch of tennis balls on sticks (CGI characters are represented as green balls on set for the sake of an actor eyeline), it’s a very impressive performance. Murray delights as the beloved bear Baloo, embodying the character completely and making his bear just as lovable as his animated predecessor, while Kingsley give Bagheera an austere nobility tempered with a caring edge. However, the standout is Idris Elba’s terrifying Shere Khan, who dominates the picture with his intimidating and dark performance. Unfortunately, while the performances were great, at times it felt like there were plenty of missed opportunities. For example, Scarlett Johansson’s impressive Kaa basically exists as an expo-ssss-ition delivery device, filling us all in on Mowgli’s back story and then disappearing again. It was a shame, especially considering the character’s absolutely incredible design. 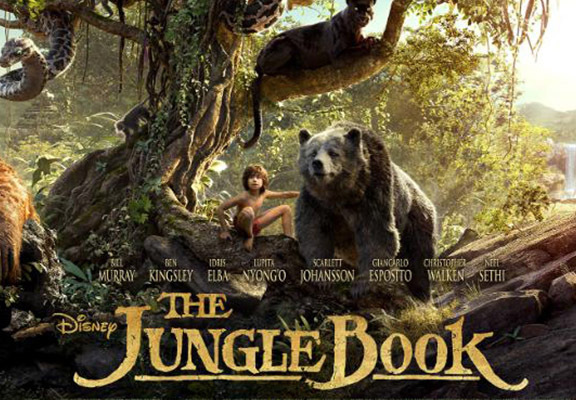 Visually, the film is amazing and the titular jungle is incredibly beautiful, while at the same time being quite scary, with everything seeming bigger and larger than life, almost like it would if you were a child lost in the woods. The same is true of the animals who are incredibly photorealistic, and you have to remind yourself that you’re watching CGI characters at times and that they didn’t actually train animals to talk for the film. And yet, despite all this, I have a problem with the movie, and that’s that I’ve already seen the animated Jungle Book, so I knew where the story was heading and I couldn’t help but think that the film relied too much on the original formula. I almost feel that’s a silly criticism, but at the same time, if you’re not going to change up the story then what’s the point in doing a new live-action adaptation when the original already exists? Besides the money, of course. So, while I can definitely recommend The Jungle Book, I can’t say that I loved it as it just felt like too much of a retread. But I’m confident that people less familiar with the original will adore it!